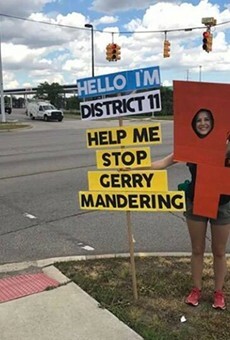 Gerrymandering at work — from left: Metro Detroit's State House Districts, State Senate Districts, and United States Congressional Districts. 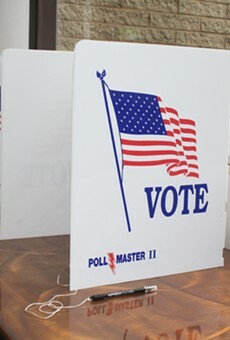 Michigan voters have approved Proposal 2, the first step in ending the shady political practice known as "gerrymandering," or rigging elections with unfairly drawn district maps. With 45 percent of precincts reporting, the measure had 60.5 percent support, according to the AP. In Michigan, those maps were drawn in 2010 by Republicans to favor (you guessed it) Republicans. Emails obtained by Bridge Magazine suggest Republicans actively re-drew the maps to favor their party and disadvantage "Dem garbage." With gerrymandering, whoever draws the maps "stacks" one party's voters into as few districts as possible, and "cracks" another party's voters across as many districts as possible. 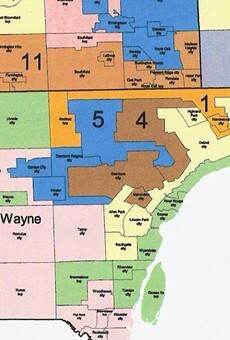 Michigan's gerrymandered districts are among the most rigged in the nation, according to experts. Now, an independent citizens' commission will be chosen to create the boundaries for both state legislature and congressional districts. The commission will be made up of four Democrats, four Republicans, and five independents, all of which will be randomly selected by the secretary of state. The effort was led by the grassroots group Voters Not Politicians, which successfully gathered enough signatures to get it on the ballot. 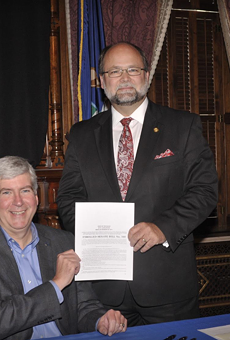 A lawsuit that sought to keep the anti-gerrymandering proposal off the ballot was backed by the Michigan Chamber of Commerce, which paid some $85,000 in legal fees to a ballot committee created to oppose the proposal. The group also donated to the campaign of Republican gubernatorial candidate Bill Schuette. 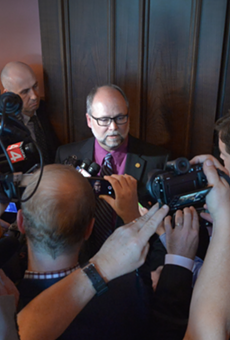 In July, the Michigan Supreme Court ruled 4-3 that the proposal could go on the Nov. 6 ballot. Republican-appointed Michigan Supreme Court Justice Elizabeth Clement broke with her party to vote to allow Prop 2 on the ballot; she says she was intimidated by "outside forces" and shunned by her party afterward. You can read more about VNP's grassroots effort to fix gerrymandering here. 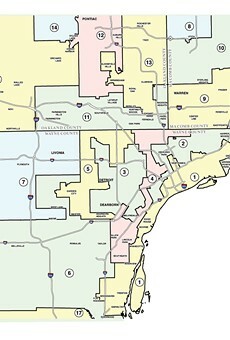 Map Of The Michigan Senate'sgerrymandered Districts In Southeastern Michigan.